This is a problem borrowed from the textbook Introduction to Probability Models by Sheldon Ross. The problem is explained as follows. A mouse is trapped in a maze. Initially it has to choose one of two directions. If it goes to the right, then it will wander around in the maze for 3 minutes and will then return to its initial position. 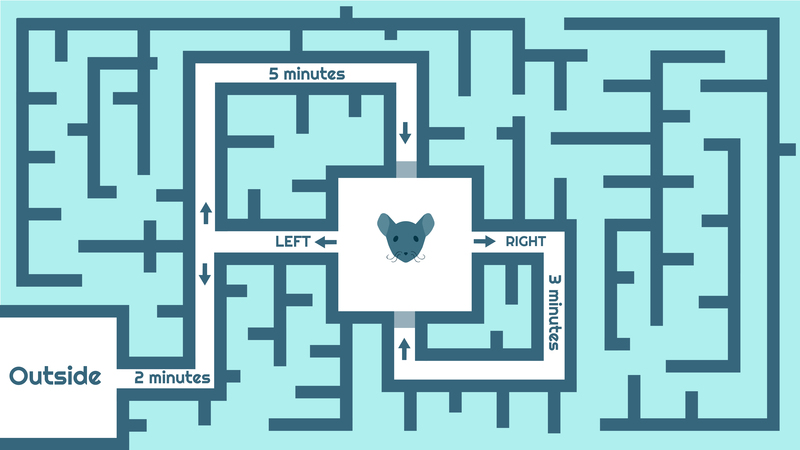 If it goes to the left, then with probability 1/3 , it will depart the maze after 2 minutes of traveling, and with probability 2/3 it will return to its initial position after 5 minutes of traveling. Assume that the mouse is at all times equally likely to go to the left or the right. Let T denote the number of minutes that it will be trapped in the maze.What is E [T]*? * E[T] is the expected time it takes for the mouse to escape the maze. Analytical Solution: The problem can be solved analytically as follows. 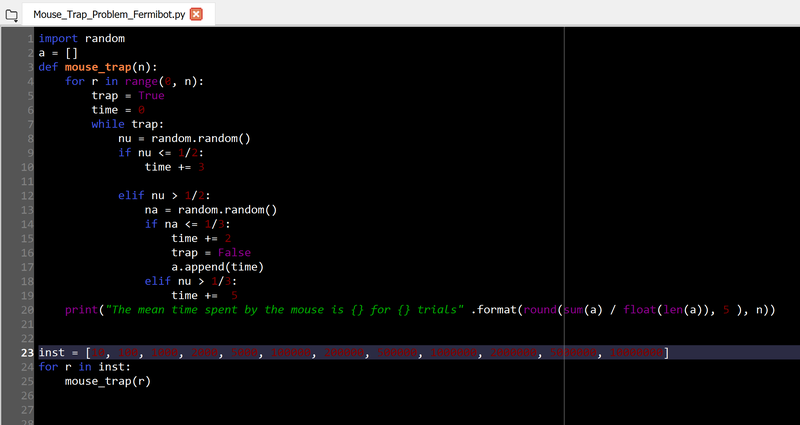 Looking at the first choice: The mouse has 0.5 probability of going to the left or the right.